A good brisket, cooked properly, has a rich flavor and a mouthwatering texture – it’s a powerful argument in favor of “low and slow” cooking. 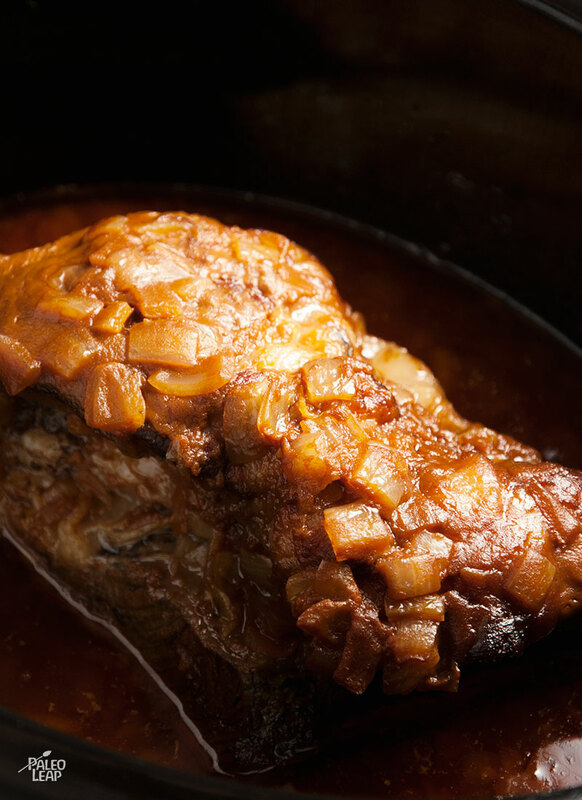 In this case, that doesn’t have to mean tending to the stove all day, though; with a slow cooker, you can put the meat in and then forget about it until you’re ready to dig in 8 hours later. For this recipe, cooking the meat in a rich sauce only adds to the flavor. You’ll need some homemade ketchup and Worcestershire sauce, but it’s not like you’ll be using them just for this recipe: they’re great condiments to have on hand in general, and if you have extra that you won’t be using, just freeze it in an ice cube tray so you can pop out servings as you want them. Serve your brisket with some mashed root vegetables to soak up the sauce, coleslaw, or any other vegetable sides you like. And if you have any left over, try making it into brisket chili for a delicious change of pace! SERVES: 4 PREP: 15 min. 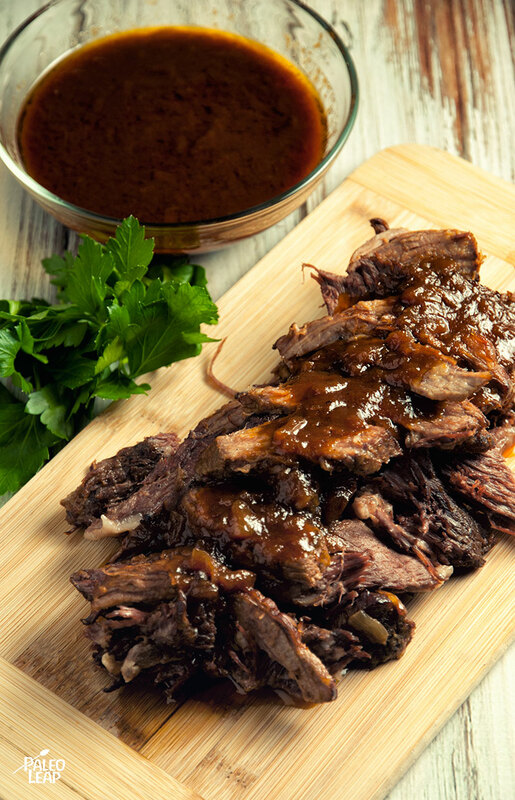 COOK: 8 h.
Brown the beef brisket on all sides in a skillet placed over a high heat and place in the slow cooker. Cook the onion for one or two minutes over a medium heat in the same skillet. Add all the remaining ingredients to the skillet, mix well, and heat up. Drizzle the sauce over the brisket and cook on low for 8 hours. Remove the brisket from the slow cooker. Pull the meat apart or slice against the grain. Don’t throw away the sauce left in the slow-cooker. Pour the remaining sauce into a saucepan and cook until the sauce thickens up. Serve the meat with the hot sauce.